Providing you the best range of Electrochemistry Instruments such as Dissolved Oxygen Meter, Portable Dissolved Oxygen Meter, pH ORP Conductivity TDS Temp Meter, Bench pH MV Meter, Bench pH ORP EC CF TDS Temp Meter, Precision pH mV ORP Temp Meter and many more items with effective & timely delivery. 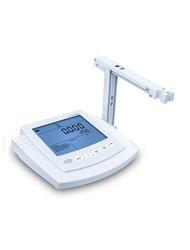 WE ARE MANUFACTURER OF Professional Conductivity Meter. This conductivity meter can measure conductivity, resistivity, TDS (total dissolved solids), salinity and temperature of the current solution. It applies microprocessor-based technology and functions as automatic temperature compensation, auto-calibration, auto measuring range switch can be supported. 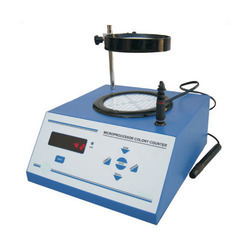 The user can calibrate the electrode constant or TDS conversion coefficient. It supports two-point calibration. The stored data can be displayed by graphics and can be viewed, printed and deleted. 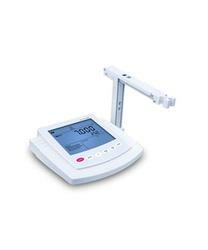 This conductivity meter allows the user to review current measuring data andthe last calibration data. It contains three kinds of measuring modes: Continuous measurement, timed measurement and balance measurement which can meet different measuring requirements. 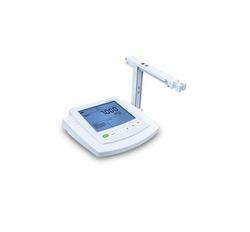 This conductivity meter uses a 5.7 inch large touch screen, RS-232 and USB interface. 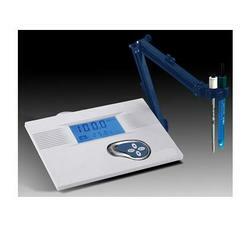 With data collecting software, it can be communicated with PC. 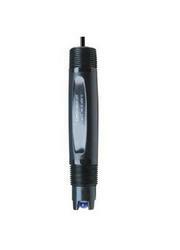 STS-3400 precision dissolved oxygen meter are used to measure amount of gaseous oxygen dissolved in a liquids. We feel proud to introduce ourselves as one of the well-known exporters, manufacturers and suppliers of pH ORP Conductivity TDS Temp Meter. The offered ph oxidation reduction potential conductivity tds temp meter is a multi utility meter, which is used for the measurement of ph value, salinity, resistivity and conductivity. Our exported ph oxidation reduction potential conductivity tds temp meter is widely used in the industrial applications. 32 to 212 °F (0 to 100 °C), pH and mV; 32 to 122 °F (0 to 50 °C), all other ranges. 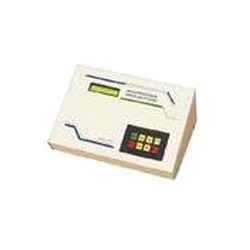 We are one of the well-known exporters, manufacturers and suppliers of Bench pH MV Meter. 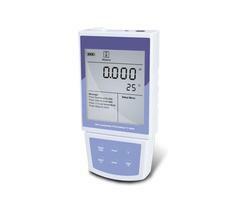 The offered bench ph mv meter is specially designed for the measurement of gradients such as ph value. 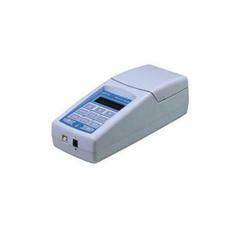 Our exported bench ph mv meter is portable, durable and easy to operate. The supplied bench ph mv meter is available at very cost effective and reasonably economic market selling price. Accuracy: PH: ±0.01 PH; mV: ±1 mV; : ±0.4 °C; EC / CF / TDS: ±2 % F.S. 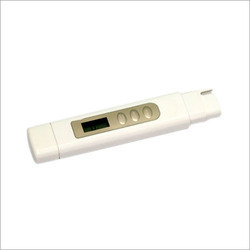 We are manufacturer of Precision PH MV ORP Temp Meter. STS-3421 and STS-3422. 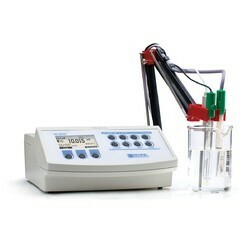 The meters are used to measure acidity, alkalinity or oxidation reduction potential of liquids. STS-3999 are used to measure conductivity, TDS (Total Dissolved Solid), salinity and temperature of solution. 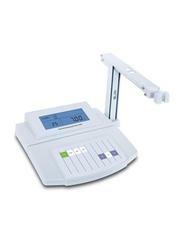 The meter are used to measure acidity and alkalinity of liquids. STS-321 has built-in high performance CPU, it can work about 200 hours continuously with 9 volt battery. 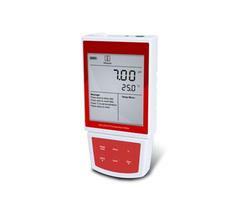 The meter with two points calibration function, it will prompt pH calibration solution when you calibrate the meter, you need only immerse the pH electrode into standard solution and press ENTER key, then the meter will be calibrated automatically. In calibration, the meter will display ERROR if you use pH standard solution by mistake or not by the calibration prompt. 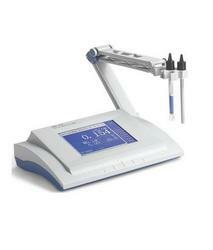 After calibration, the meter will indicate electrode slope, you can judge by the indicator to replace electrode or not. 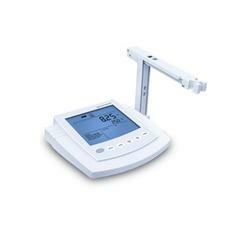 STS-3 series with temperature sensor, you can view temperature value on the LCD, the meter with automatic temperature compensation for accurate reading under changing conditions. The meter with hold function, press MEAS/HOLD key, the meter momentarily freezes reading. STS-3 series with operational message indicator. When you need setup or measurement, the message indicator will help you what you can do and how do it. You can set parameter or select functions under it's guide. The meter can save 50 data sets, press SAVE key, and the meter will store current measured value, serial number, date, time and other information. 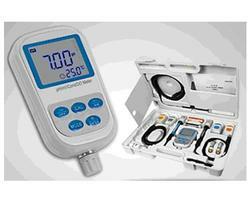 we are manufacturer of Microprocessor Based PH EC TDS Meter. 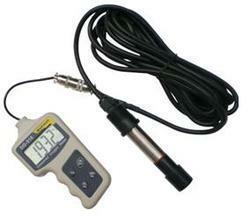 We are one of the leading exporters, manufacturers and suppliers of Portable Dissolved Oxygen Meter. The offered portable dissolved oxygen meter is specially designed for the measurement of oxygen in liquids and gases. Our exported portable dissolved oxygen meter is highly acclaimed for automatic calibration and automatic temperature compensation. 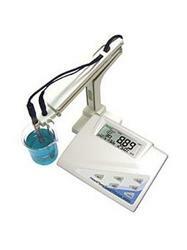 The supplied portable dissolved oxygen meter is a multi measurement unit. The meter can be calibrated by one or two points. The meter with function of auto recognition when in calibration. Due to influence on the range of dissolvability and diffusion caused by temperature, the meter must compensate temperature when measure dissolved oxygen. The salt dissolved in solution will limit oxygen content. Relationship between oxygen's concentration and nutrient changed with the salinity of sample solution. The meters can set salinity value in the range of 0 to 35 g/L, and can set atmospheric pressure in the range of 450 to 850 mmHg. The meter can save data 48 sets. Press [SAVE], and the meter will store current measured value automatically and serial number, date, time and other information. 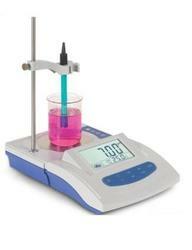 we are manufacturer of Lab Bench PH MV Meter. This meter is a perfect 8 IN 1 Professional pH MV Conductivity DO Meter combination with the most advanced electronic technology, sensor technology and software design. The meter can measure the parameters of pH, mV,conductivity, TDS, salinity, resistivity, DO and temperature for high accuracy water solution. 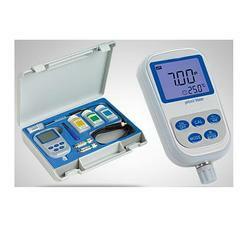 It is the best portable water analysis meter with the highest performance and the lowest cost. It is suitable for the trade such as the mining industry, power plant, water treatment projects and environmental protection, etc., especially has more extensive application in the field and spot test. 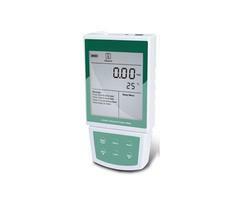 WE ARE MANUFACTURER OF Microprocessor Based EC TDS Sal Meter. Programmable Ref.Temp. & Temp.Coefficient EC MODE. Auto Buffer Recognition in PH Mode. Microbiology an instrument designed to conveniently count or Colony Counter assist counting colonies of microorganisms on a plate containing a gelled growth medium. One variety uses a pencil-like rod with a metal tip, which is connected by an electrical connection to the gelled growth medium; when touched to a colony on the plate, the completion of the electrical circuit causes an increment of 1 unit on the readout of the colony counter. Temperature compensation Automatic compensation with 25 as the reference temperature. 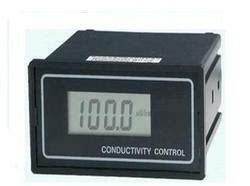 We are one of the well-known exporters, manufacturers and suppliers of Conductivity Controller. The offered conductivity controller is a panel device, which is used for the on-line monitoring of industrial process conductivity. Our exported conductivity controller is highly acclaimed for the stable operation, linearized data and check for over limit conductivity. 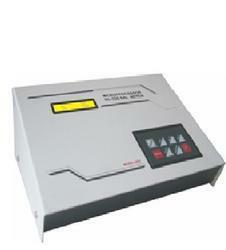 The supplied conductivity controller is suitable for water based applications. Automatic compensation with 25 as the reference temperature. We feel proud to introduce ourselves as one of the well-known exporters, manufacturers and suppliers of Conductivity Monitor. 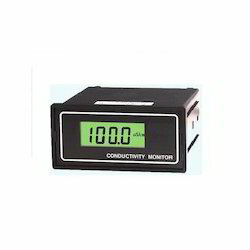 The offered conductivity monitor is a specially designed device, for the monitoring of industrial process conductivity. Our exported conductivity monitor employs the unique signal collecting and processing technology for accurate measurement of conductivity. Widely used for online ORP monitoring in environmental protection water treatment, pure water treatment, industrial process, agricultural industry etc. 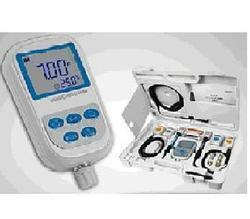 Temp compensation range 0~50°C (with 25°C as standard) manual and automatic temperature compensation. 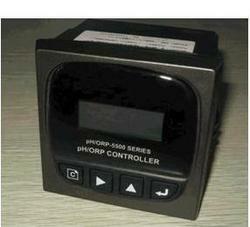 4-20mA isolated, fully adjustable, reversible 4-20mA output, instrument / transmitter mode. Control contact: electrical contact double relay SPST-NO, return mode; load capacity AC220V/110V 2A(MAX); DC24V 2A(MAX). 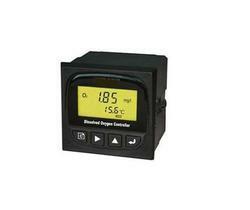 We are one of the widely acclaimed exporters, manufacturers and suppliers of Dissolved Oxygen Controller. The offered dissolved oxygen controller is very widely used for the detection and measurement of oxygen levels in fluids. Our exported dissolved oxygen controller is able to operate in both the low and high salinity environments. 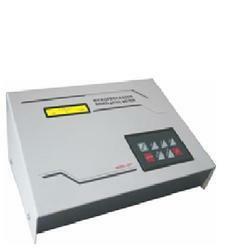 The supplied dissolved oxygen controller is easy to install and operate. We are one of the widely acclaimed exporters, manufacturers and suppliers of Dissolved Oxygen Meter. The offered dissolved oxygen meter is an electronic device which is used for measuring the oxygen proportion in the analyzed gas or liquid. Our supplied dissolved oxygen meter is commonly used by the divers, to measure the pressure of oxygen in breathing gas. The exported dissolved oxygen meter is made from high grade raw materials. Conductivity, TDS, Salt: ±2 % F.S. Oxygen in Air: 0.0-255.0 %. Measures pH, mV & Temperature. 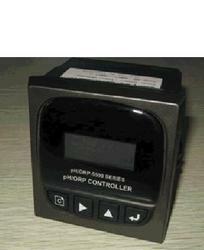 We are one of the leading exporters, manufacturers and suppliers of ORP Controller. The offered oxidation reduction potential controller is specially designed for the measurement of oxidation reduction potential in liquids. Our exported oxidation reduction potential controller is widely acclaimed for the optimal electrode constant and optimal temperature compensation range.